His victory wasn’t big. It wasn’t pretty. It didn’t break the mould. It certainly wasn’t inspirational in the way that his win in 2008 was. In places it was wafer-thin. But it was a US presidential win all the same. And the win in 2012 matters just as much as the earlier win did in 2008. In difficult times, it is even, arguably, a greater political achievement. 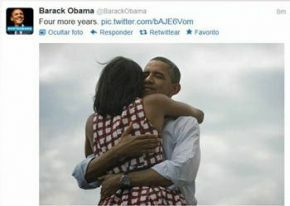 Mr Obama’s win is good for Americans, good for America, and good for the world. However, despite the optimism and belief that “Barack Obama Will Be a Better Progressive in His Second Term,” the good that Obama can implement in the next four years is still uncertain. More seasoned and scarred, less prone to grandiosity and perhaps even less idealistic, Mr. Obama returns for a second term with a Congress still at least partly controlled by an opposition party that will claim a mandate of its own. He will have to choose between conciliation and confrontation, or find a way to toggle back and forth between the two. However, despite the political entrenchment that Obama will continue to face in his second term, his victory in this election is a clear signal that the U.S. political landscape is changing – or has already changed. When you do it once, it’s just a victory. When you do it twice, it’s a realignment. The coalition that Barack Obama put together to win the presidency handily in 2008 looked a lot like the emerging Democratic majority that optimistic liberals had been discerning on the political horizon since the 1990s. It was the late George McGovern’s losing coalition from 1972 finally come of age: Young voters, the unmarried, African-Americans, Hispanics, the liberal professional class – and then more than enough of the party’s old blue collar base to hold the Rust Belt for the Democrats. The reality that won last night was the reality of the emerging new American electorate, which is self-evidently changing our politics profoundly and will remake them fundamentally in decades to come … Nationally, the share of the vote comprised by whites fell from 74 to 72 percent, while the black vote held steady at 13 and rose among Hispanics from 9 to 10, among Asians from 2.5 to 3 percent, among women from 53 to 54 percent, and among young voters from 18 to 19 percent. Obama’s share of each of those blocs was overwhelming: 93 percent of African-Americans, 71 percent of Latinos, 73 percent of Asians, 55 percent of the ladies, and 60 percent of the kids. Together with a decent performance with white voters overall — 42 percent, four points lower than what he garnered in 2008 — those margins were what allowed him to win the popular vote as well as in the electoral college, thus averting a split decision that his team was worried would be messy and controversial.